The role of an Academy Council is an important one. 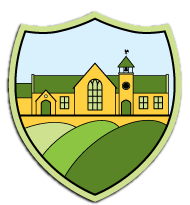 It is to provide focused governance for the Academy at a local level and it is the intention of the Shaw Education Trust Board to ensure that the responsibility to govern the Academy is vested in those closest to the impact of decision-making. The Academy Council monitors the Academy's key performance indicators and acts as a critical friend to the Principal and the Academy's senior leadership team, providing challenge where appropriate. 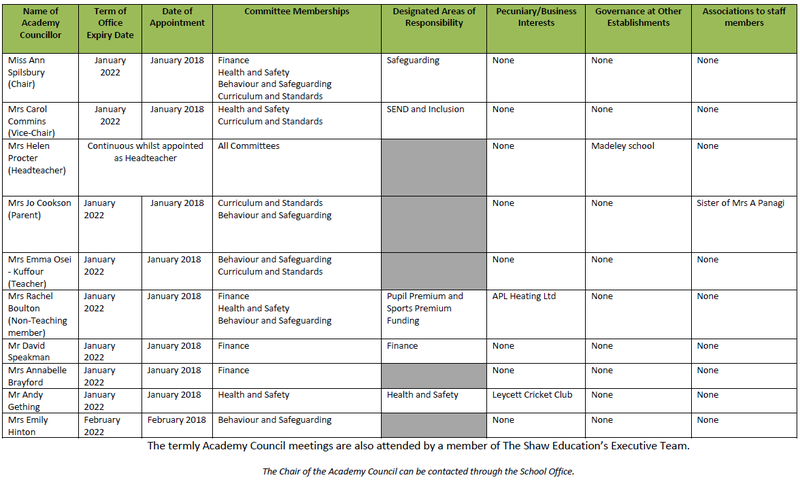 The Academy Councils carry out their functions in relation to their respective Academy on behalf of the Shaw Education Trust Board and in accordance with policies determined by the Trust Board. The act of delegation from the Shaw Education Trust Board to the Academy Council is a delegation of powers and duties, and not a delegation or shedding of responsibilities. attend training sessions for effective governance. At The Meadows, the Academy Council meet three times a year as a large group and then four subgroups with specific remits, meet each term. A member of The Shaw Education Trust's Executive Team attends each of the termly Academy Council meetings. The Chair of the Academy Council can be contacted via the School Office.